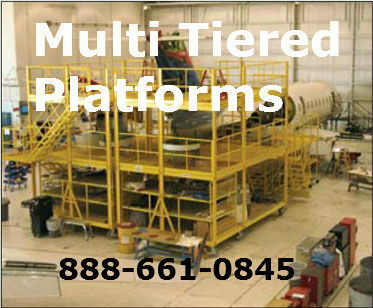 MAINTENANCE PLATFORMS are a fast responder when a Stationary Work Platform is not necessary. 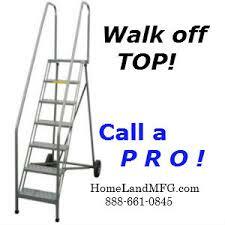 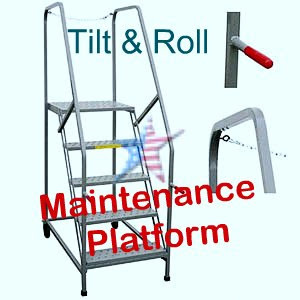 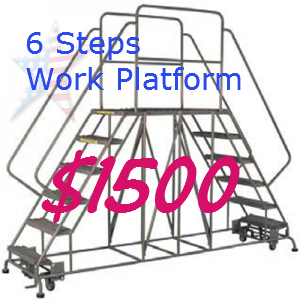 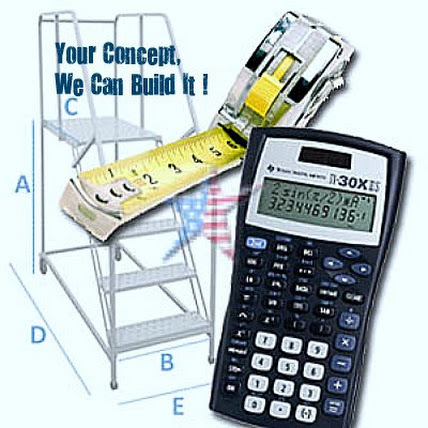 These Rolling Work Platforms are actually a strong tilt and roll style ladder. 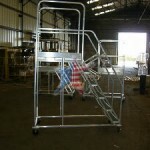 The top railing is fortified to allow a removable safety chain. 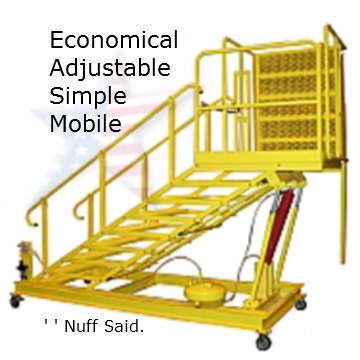 Removable chain allows workers to exit off platform and is often used as a truck trailer access ladder. 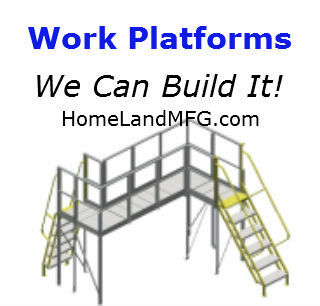 We can Galvanize these or build out of aluminum.